You’re not sure how to get new listeners to your podcast, and you don’t have many followers on Twitter. On top of that, Twitter and many other social media platforms have a ton of noise on them. People aren’t paying much attention. How do you stand out and get people to notice you and your show? You want to use social media to promote your podcast but you aren’t sure how to get started. I just listed out 3 big problems that many people face. In this episode, I’m going to talk about the solutions. Go where your audience is. The platform doesn’t matter, the attention does. Prove that you can deliver something valuable to someone else’s audience, and then go out and do it. Don’t use social media for a bunch of different things—it dilutes the focus of your feed. Know if your content is going to be relevant to someone before you promote your work to a stranger. The more narrow your focus, the better chance you’ll have of attracting the right people. If necessary, create new social media accounts for your podcast. Your Twitter bio needs to be your mission statement. Think about the kind of people you want to attract and share things that will attract those people to you. 02:31 You’re not sure how to get new listeners to your podcast, and you don’t have many followers on Twitter. Do you have to use social media to get new listeners? No, you don’t. But it helps. Ask yourself, “Where are my people?” It might be Twitter. It might not be. Where is the attention? Where are the people who would be interested in your show? You need to go there. Don’t spend energy on platforms that don’t have many people or that don’t have engagement. 03:11 If you’re making a show for older CEOs, they probably aren’t going to find and follow you on Snapchap. Try LinkedIn. Likewise, if you’re making a podcast for the younger generation, posting on LinkedIn will be a waste of time. Know your audience and go where they are. Go where your audience is, where the attention is. 03:35 You might look up these podcasters that have huge followings who are so engaged. What do these famous podcasters all have in common? They showed up and produced work consistently for a long time. 04:01 You have to create good work, good podcasts, good blog posts, and you have to do it consistently. It takes a long time. You have to build up a body of work. On top of that, you also have to share valuable stuff that other people create. Sharing other people’s work–especially if it’s stuff your audience will be interested in–is a great way to get attention. It’s a great way to be seen as someone who’s plugged in and connected with what’s going on in the world of whatever your niche is. 04:37 Nothing bothers me more than random people sending me messages saying, “Hey, check out my podcast! It’s about mowing yards.” I’m like, “I don’t care about that, man! Why are you wasting my time? Why are you wasting your time?” Don’t waste people’s time. Don’t spam strangers by asking them to listen to your podcast. 05:06 If you don’t know a person and you don’t have a good reason to believe that they would be interested in your show, don’t bother them. Instead, look for people who need your help, who are part of your community (someone who cares about the same thing you do a podcast about). Find the people talking about the stuff that you talk about, have conversations with them. Don’t jump in by saying, “Check out my show! Check out my show!” Get to know them first. You don’t go up to an attractive person on the street and ask them to marry you, do you? No, you have to talk to them to find out if you have common interests. 05:41 Interview people with common interests on your show, and ask to be a guest on other shows. You’d be surprised at who will say yes to an interview request if you frame it as something their audience will find interesting. Q: Can I Reach Out to Total Strangers to Promote My Podcast? 06:07 What about reaching out to strangers to promote your show? It really depends on the situation and what your show is about. Are you sure your show is something they’ll be interested in? Let’s say that you make a podcast about video. You run a search for “problems with my video” on Twitter. You see a total stranger who says, “I can’t figure out the audio problem on my Canon 70D,” and you remember that you have a podcast episode that talked about that exact problem. 06:48 Tweet at them and say, “Hey, I had that problem too. Here’s what I did”, and send them a link to your podcast episode. 08:51 I love this. This speaks to a problem that a lot of people have when they have a Twitter or social media account, which is posting a bunch of different stuff. I’m guilty of this too. My Twitter account is @thepodcastdude, and I mostly keep it to podcasting stuff, but every once in a while, I’ll think, “Here’s a random thing I want to Tweet about,” and I tweet about it. 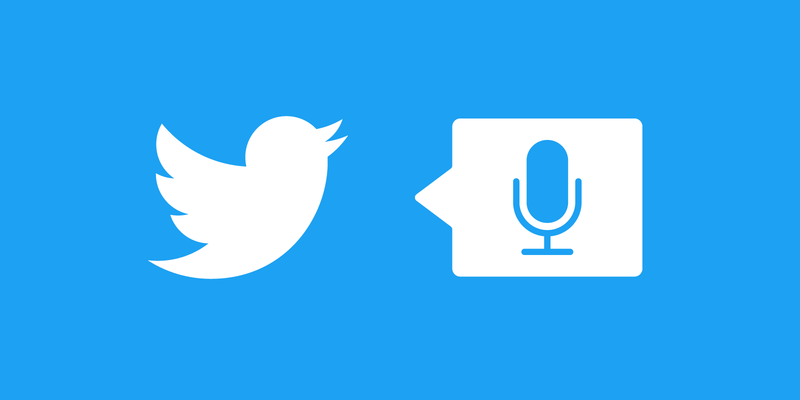 09:24 You might need to create a new Twitter account for your podcast. Some people might be interested in following you as a person (humans want to connect with other humans). I love following people, especially people that are cool podcasters. But some people might just want to see updates about your podcast, or whatever it is that your podcast is about. 09:46 Imagine creating a YouTube channel where half the videos you post are related to your podcast, and the other half are completely random, unrelated stuff. You’ll turn a lot people off. Probably not everyone, but people subscribe to channels and other people online for a reason. The more narrow your focus, the better chance you’ll have of attracting the right people. Problem #3. How Do I Get Started Promoting My Podcast on Social Media? 10:31 You’re overthinking this. What are the big social media platforms? Go create an account and start sharing what you make. Yes, it’s a time investment. You’ll have to invest time to figure out how the platform works and how to get attention there, but just like anything else, you have to learn this stuff. Some platforms might not be right for you or your audience. Do some research. Find out what kind of people are on it, what the age groups are, whether your audience is there. In the bio section, describe the show you make and who it’s for, and what your purpose is. (Related: How to Write a Better Podcast Description That Attracts New Listeners). 11:22 If you do a podcast and you really just have a personal Twitter profile, I really think that your bio needs to be your mission statement. That’s important. It tells people why they should follow you. Start linking to your podcast episodes whenever you produce something new. Share other related content. Talk to people who care about the same stuff that you care about. It’s ok to promote your episode several times during a week, but change the message each time. Don’t just say, “Hey, a new episode is out.” Nobody cares. You have to tell people why they should listen to your podcast. This is what this show is about. This is what it’s going to do for you. Here’s why you should listen, here’s why you should care. 12:08 Put some thought into how you describe your episode. Otherwise, people are going to scroll right past it. If you don’t tell people why they should care, they’ll swipe up. Or down. Whatever. 12:33 Promote your older episodes too. If you’ve made a lot of content, it’s okay to promote it. It’s okay if it’s six months old, unless you’re just doing a new show. That’s a whole other problem. New shows are hard. If you’re making content that’s remotely evergreen, which means that it will still be interesting to listen to six months, a year, or three years from now, promote that stuff online. Don’t be afraid to re-post your old content. 13:12 You’ll get new followers all the time and some of your current followers will miss the first time you post something. People aren’t paying close attention. You can post a link to a new episode three or four times a week, every other day, and most people won’t notice. Just make sure that you change the wording, the description, the value proposition a little bit every time. 13:53 There’s no magic shortcut to growing an audience online. Buying followers is not going to get you there. Sign up for accounts, add your information, and start sharing your work. Step #1, make good work. Step #2, share it. 14:26 Before posting something to social media, ask yourself: is this something that my audience is going to care about? Sit with that for a couple of minutes. More people would be in a much better place if they asked themselves that question before posting stuff on Twitter. 15:07 We all have personalities, values, and goals. Some people share too much, but some people don’t. Some people are afraid to let their personalities come through in their work or their social media accounts. They try to keep it professional and it ends up feeling sterile. It’s okay to share and talk about things that you love. Realize that the stuff you put out will attract people that are interested in that same stuff, so be careful. If you’re using a lot of negative messages, you’re going to attract negative people. On the flip side, if you’re a positive, encouraging person, you’re going to attract people like that. Think about the kind of people you want to attract and share things that will attract those people to you. 20:19 I’m not sure which platform you’re talking about when you say “social,” but if it’s Twitter, once a day would be pretty easy, because it’s just text. Think about your audience. If you’re an artist like Allison, who’s a musician, share stuff that you find valuable or interesting related to your style of music. 24:32 BTW, Sean, I think you have a lot of old content that you’re not linking to enough. How many episodes of seanwes tv do you have? If you’re listening to this and you haven’t seen seanwes tv, you’re missing out. For instance, check out episode 182, Why Your Podcast Needs Show Notes. This is one of the most epic rants on podcast show notes that I’ve ever seen. If you’ve been putting out content for over a year, you’ve probably got a lot of old stuff that many people haven’t heard or seen. It’s good content, Brent. 26:03 You might not be sharing your old content because you think that everyone that followed you back then is still following you and that they’ll get annoyed. But if it’s good, it’s good. Post it. Link to it. There is so much content out there, you could spend your whole life watching other people live their lives. 26:44 Anyone can buy a GoPro and live-stream their life. You can fill every second of your life watching other people, and it’s not going to get you any closer to anything. For me, social media is about sharing the work I make, helping other people, and paying attention to really smart, successful people that are teaching things I want to learn about. I see so many people spending hours every day watching other people, but I have personal goals, and watching other people live their lives doesn’t get me closer to having the kind of life I want. Cal Newport has a lot of interesting things to say about social media and paying attention to things, so check out his blog, Study Hacks. 29:08 You can promote it three or four times a week. I don’t promote my own show that often, but I should be. Just change the message every time, add a new takeaway or valuable insight from the episode to keep it fresh.